Kauai Roastery sources only quality coffee beans from farms both local and global that meet sustainable agronomic practices. We select vintage crops that deliver unique regional flavor profiles. Roasting to order in small batches permits us to offer a full range of delicious possiblilities. 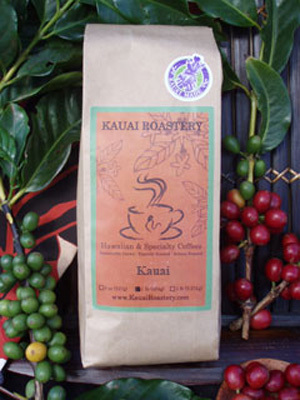 Kauai Roastery is located in the town of Waimea, on the sunny west side of Kauai. Family has been involved in coffee industry for three generations, with 25 years in Hawaii.